Isle of Man based expert photographer Simon Park has invested almost 40 years photographing the Island and the Isle of Man Post Office have chosen images that will communicate the range of experiences and contrasting surroundings that Manx locals have at their disposal: the 10 images vary from ancient stones to sports celebrations. Simon presently works and lives in the Isle of Man as an expert photographer specialising in art and business photography. 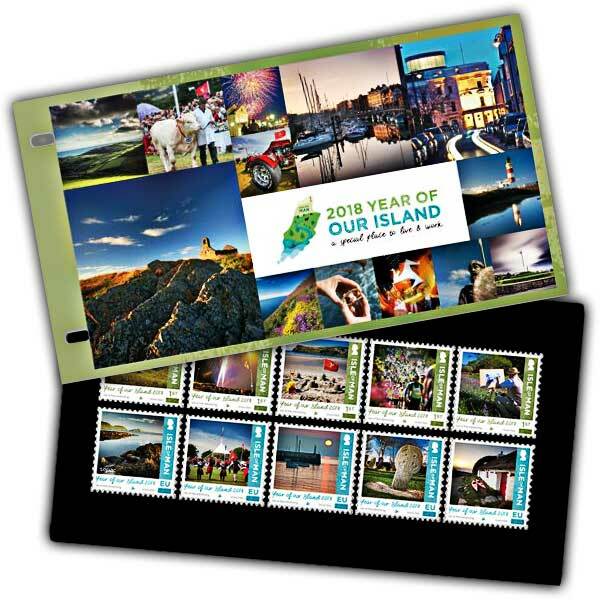 The 1st Class stamp reveals Walkers above Fleshwick; TT Fireworks and Lights; Port Erin Sandcastles; Manx Telecom Parish Walk; Michael Starkey Painting, Sulby. 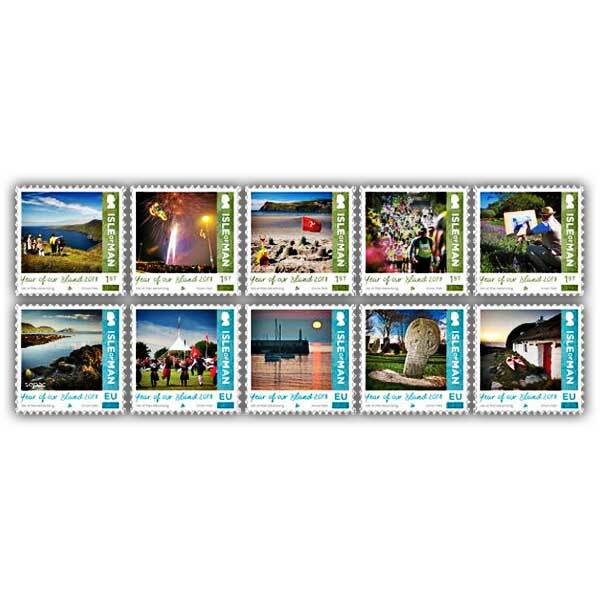 While the EU Value stamps reveal Niarbyl Coast; Niarbyl Cottage; Sunset at Peel; The Lonan Cross; Skeddan Jiarg Dance Group. The Year of Our Island 2018 was motivated and notified by the current UNESCO World Biosphere status granted to the Island in 2016. Our 'male and the biosphere' status commemorates our living land and seascape, and individuals working and living within, delighting in and supporting that environment. It has to do with stabilising a lively neighbourhood, valued environment and durable economy, and staying an unique location for individuals and nature. Readily available in Mint and CTO, this fantastic collection concentrates on exactly what makes the Isle of Man such an unique location to work and live.